MLB The Show 17 update 1.05 for PlayStation 4 is now available for download. The latest update brings various improvements made to online gameplay stability as well as the challenge of the Week live scores will now update correctly. The update also retunes the sound effects of a bat making contact with the ball, balances the success rate of bunts against the shift, fixes crashes, and more. Recently, Sony released update 1.04 with improvement to online stability and more. 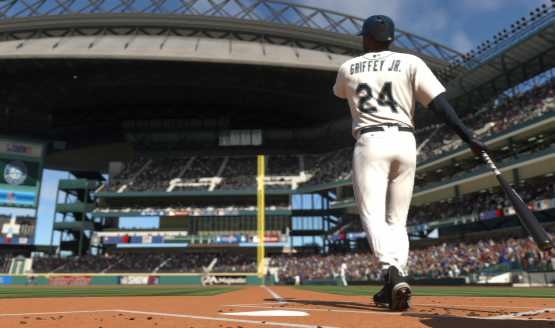 MLB The Show 17 update 1.05 fixed a crash that would rarely happen when more than 200 people are scheduled to retire during the offseason. MLB The Show 17 update 1.05 fixed corrupt textures in Old Miami stadium during night games. MLB The Show 17 update 1.05 fixed an issue where the icon and name-plate would not display for some players in Game-rooms. MLB The Show 17 update 1.05 brings various other minor bug fixes and adjustments made throughout the game. Check your update and download MLB The Show 17 update 1.05 for PS4.